The bone of the foot that forms the heel. The muscle groups located in the upper posterior region of the lower leg. (v) wrapping of foot with fiberglass tape to capture the best alignment of hindfoot, forefoot, and ankle. Good casting is key to good fit and function of a DAFO. (n) made with fiberglass tape and either digitally scanned or mailed to Cascade Dafo for brace production. Any activities involving adjusting or modifying the size, shape or alignments of a cast prior to filling it with plaster. The removal of the cast materials from the outside of the plaster mold or positive. A non-skid material attached to the bottom of a brace; (same as: non-skid; Hawaiian Bottom; Vibram). A description of volume indicating greater than normal thickness or width due to the presence of extra body fat (same as: fat; pudgy; flabby). A three dimensional shape or the line or lines representing such a shape. Example: “footplate contours” are the shapes associated with a standard casting footplate. To change the alignment of the cast or mold to a required or requested alignment. A bone of the foot located between the calcaneus and the 4th and 5th metatarsals. Transitional beveled 1/8” padding on the upper portion of a brace. 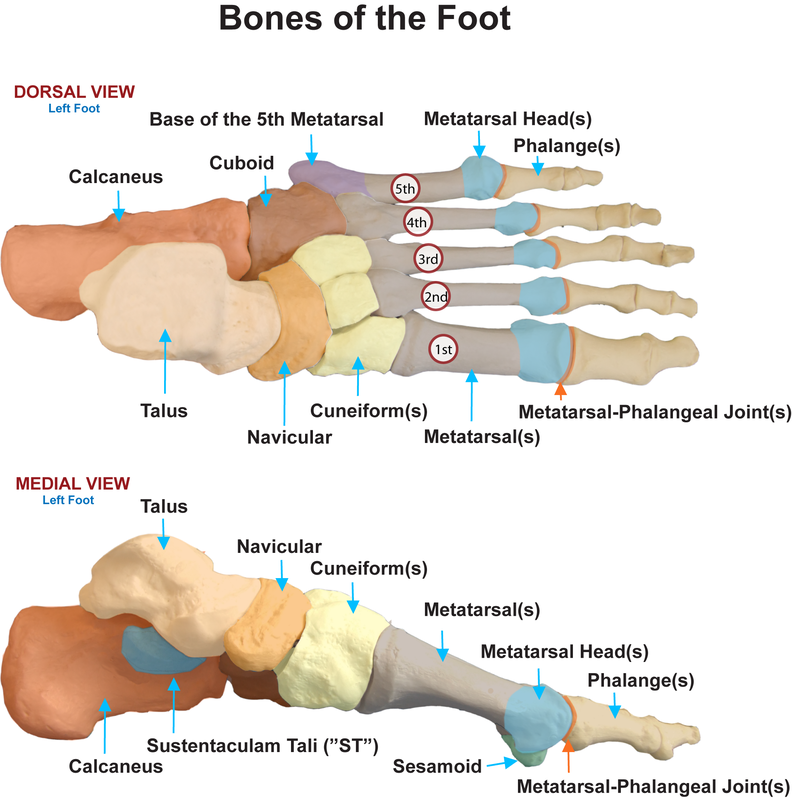 Three bones of the foot located between the navicular and the 1st, 2nd and 3rd metatarsals.